Although many homeowners enjoy spending time outdoors in the back yard, they don’t get to fully enjoy their deck or patio area because of the hot sun or the rain. Patio Covers are built to extend the enjoyment of your outdoor space. They allow homeowners to enjoy the outdoors while sheltering from harsh elements like the sun on a hot day or rain. 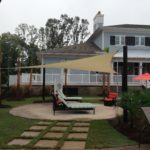 Although they offer shelter, patio covers still allow users to capture a breeze or entertain regardless of the weather. Entertaining under a patio cover environment is a great experience. Homeowners don’t have to worry about creating a mess because this isn’t a room but a porch environment. It is also cooler than simply entertaining on an outdoor deck or patio. 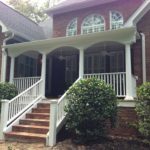 Most importantly, patio covers can be built on a budget. For a low investment, homeowners can add an increased value to their home. Remember that patio covers can be enclosed later at a minimal cost, and this adds to the value of your home, but it will also add value to your life by providing a comfortable shelter and place to pause from your hectic life. 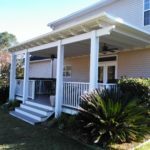 CLICK HERE to learn more about Adjustable Patio Covers.